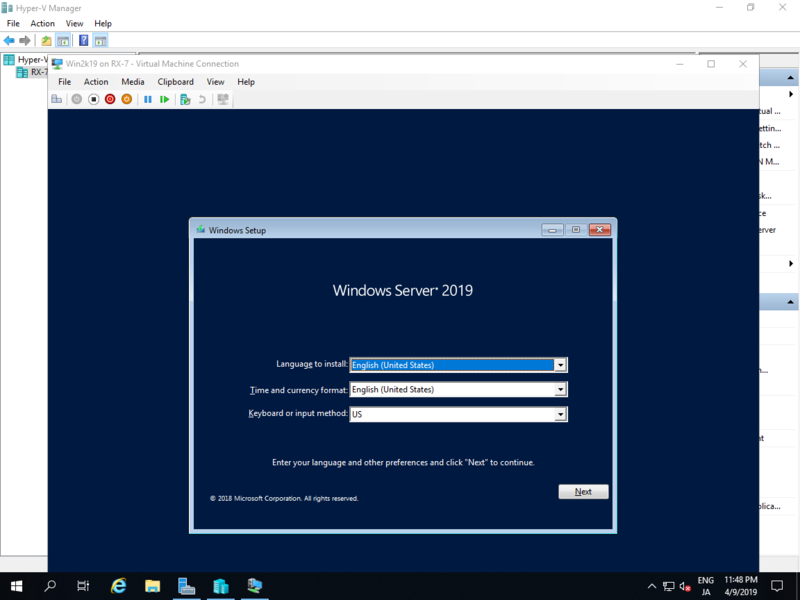 On this example, Create Virtual Machine with installing Windows Server 2019. 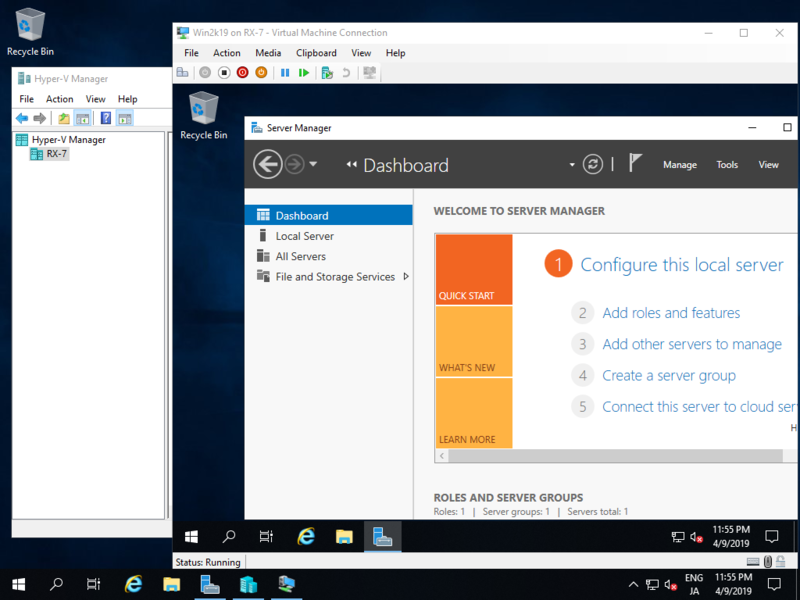 Run [Server Manager] and Open [Tools] - [Hyper-V Manager]. 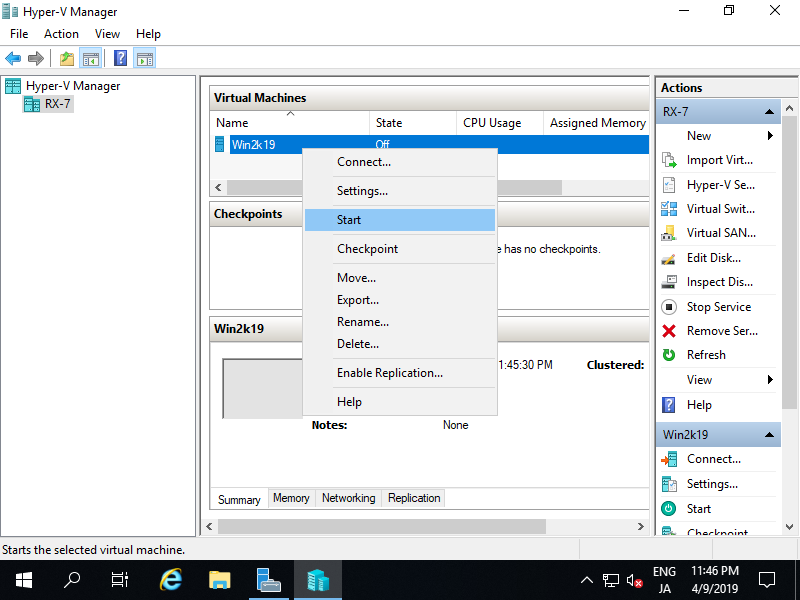 Select Hostname on the left pane and right-click it to open the menu, and then select [New] - [Virtual Machine]. 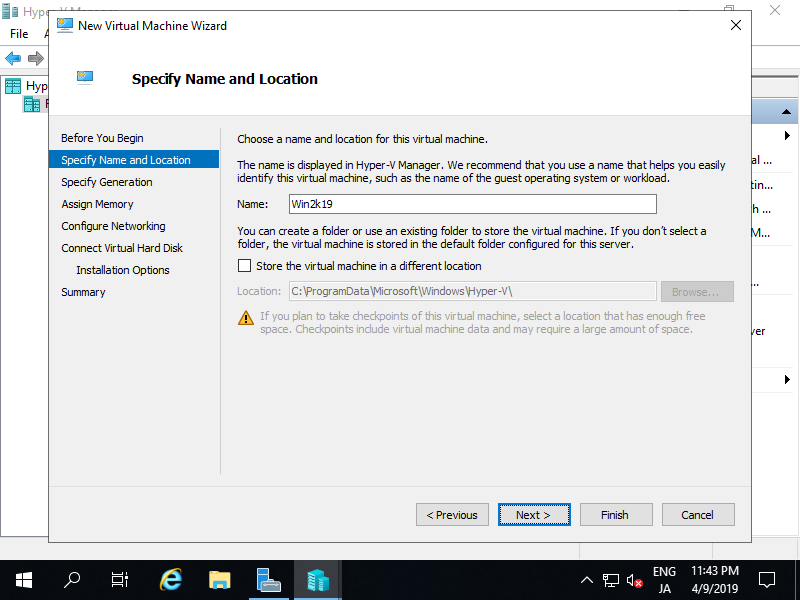 Input name of Virtual Machine. Any name is OK. 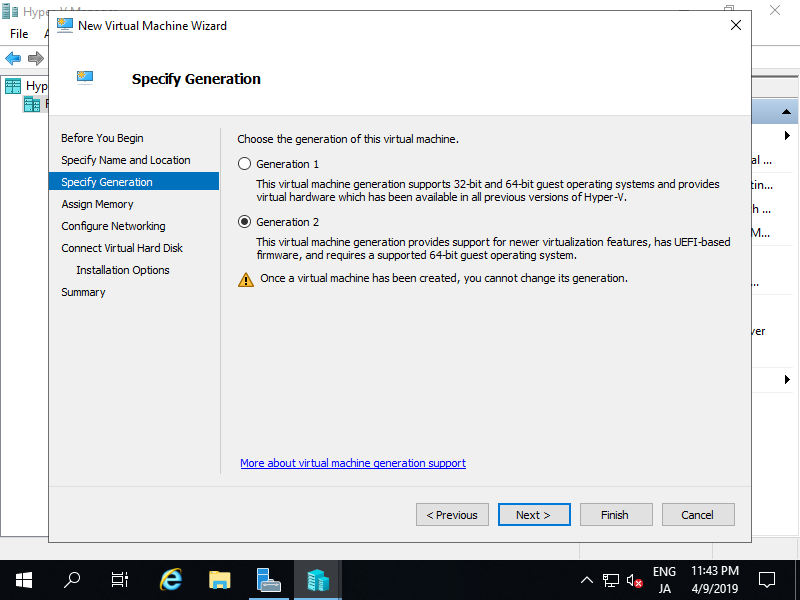 Specify generation of Virtual Machine. On this example, select [Generation 2]. 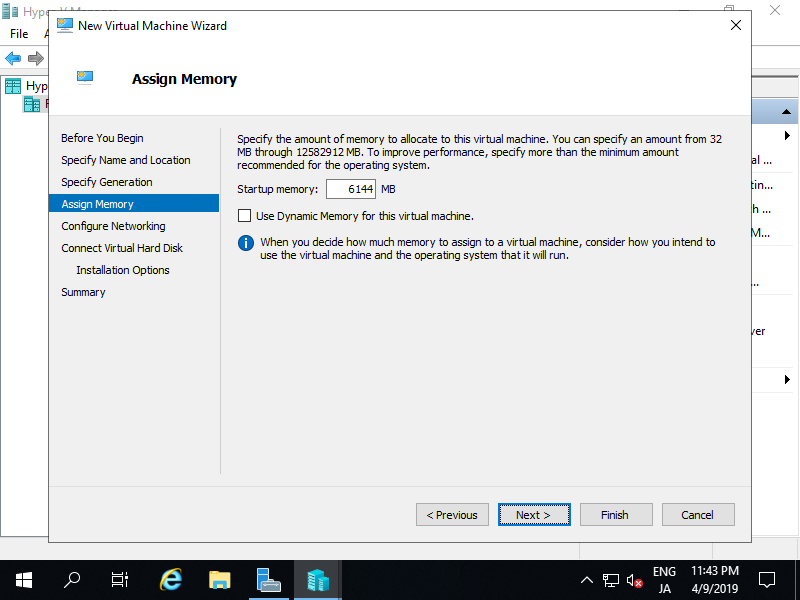 Assign Memory for Virtual Machine. 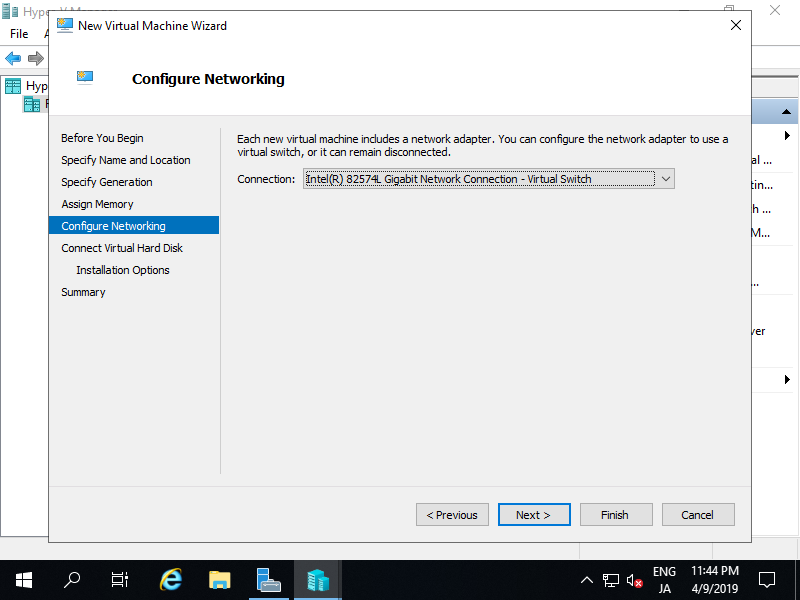 Select Virtual Switch to use networking of Virtual Machine. 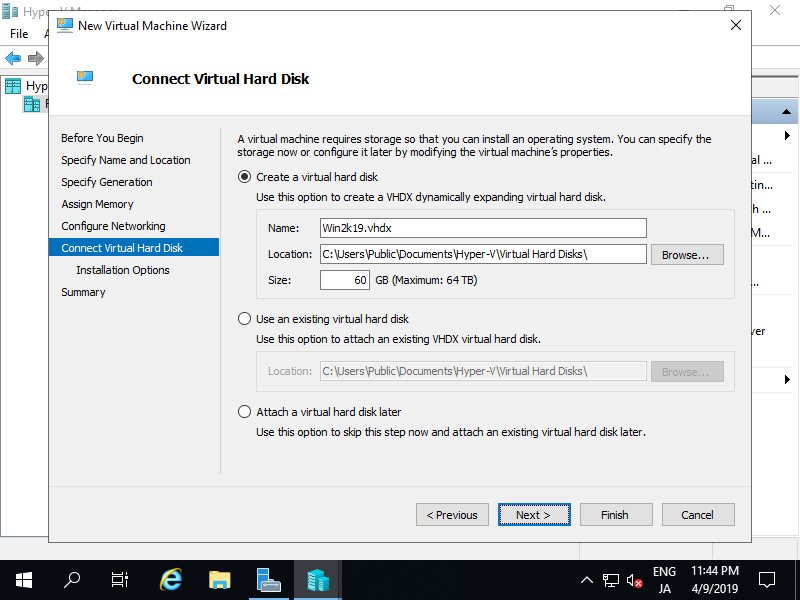 Configure Virtual Hard Disk. 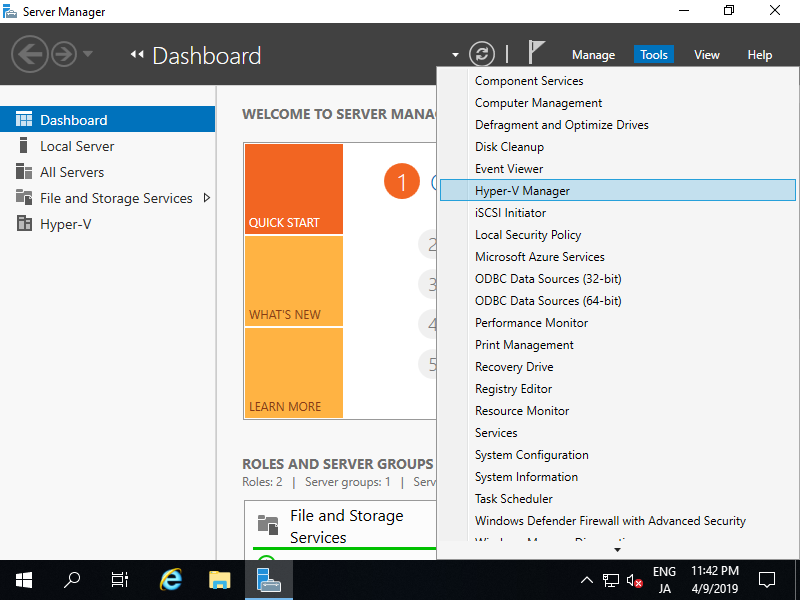 Set parameters you like. 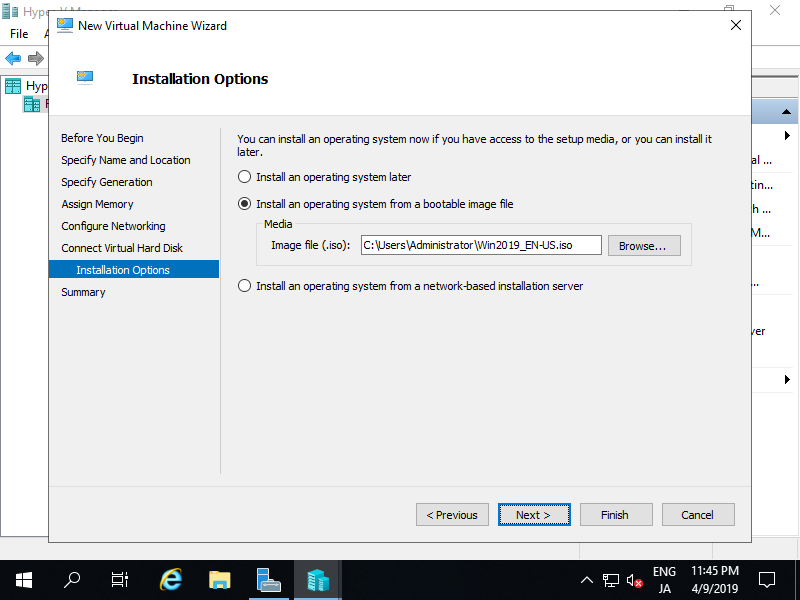 Select installation source of GuestOS. Click [Finish] button if that's OK. 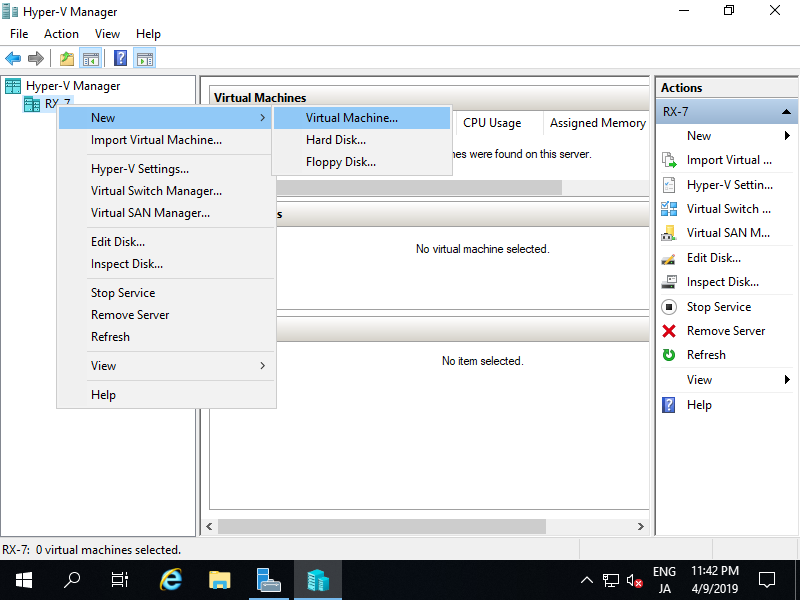 Virtual machine has been just created. 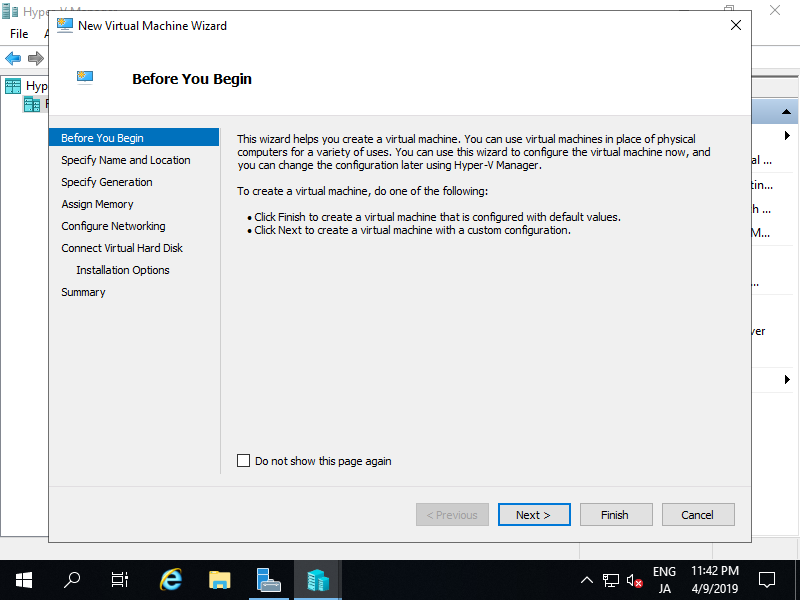 To start it, right-click it and select [Start]. 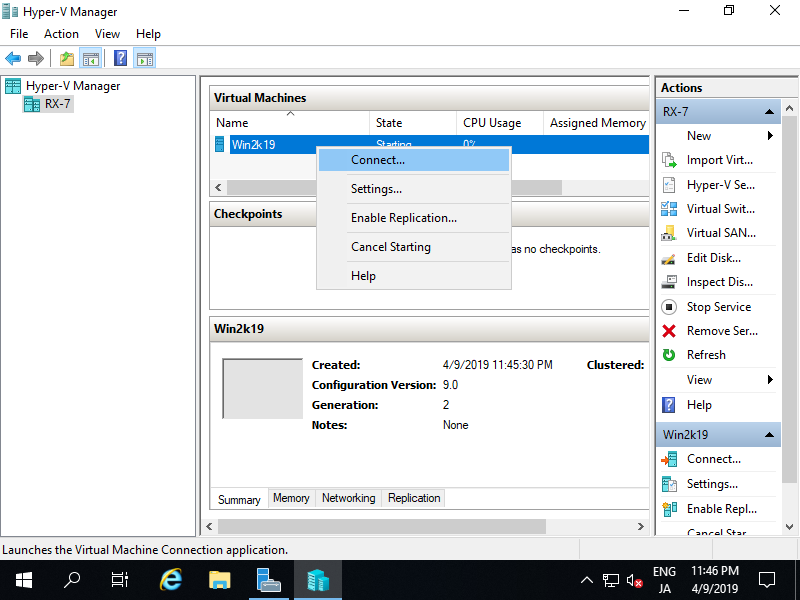 To connect the console of Virtual Machine, right-click it and select [Connect]. Install GuestOS with common procedure. 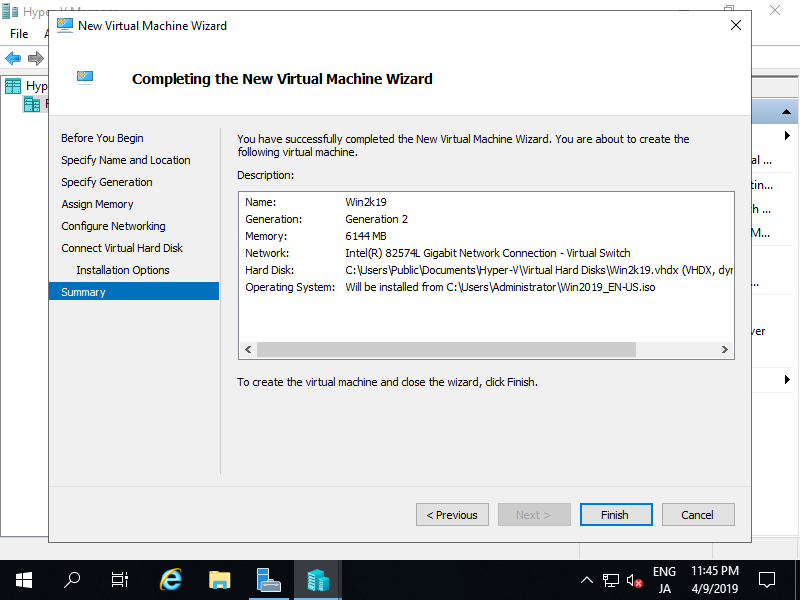 Installation has finished and Virtual Machine Windows Server is running now.